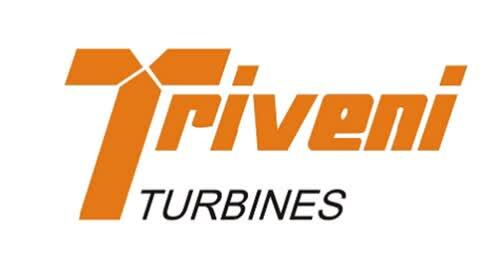 Triveni Turbine Limited is the market leader in India with a dominant 63% market share. It also offers comprehensive aftermarket services covering the entire lifecycle of turbines. TTL operates in higher capacity range of above 30 MW to 100 MW turbines through its subsidiary, GE Triveni Ltd., a joint venture company with General Electric. (i) Products & Services Triveni Turbine Limited offers robust back-pressure and condensing steam turbines that work across a wide range of pressure and flow applications. For TTL, customer relations means much more than just completing the contractual commitment of supplying and commissioning the turbine. TTL stands by its customers to make their operations reliable and provides a 360-degree after sales services support during the complete life cycle for all types of industrial steam turbines. With a dedicated team of highly skilled and experienced engineers, TTL offers a wide suite of integrated solutions like erection & commissioning, spare parts, operations & maintenance and refurbishing, among others. (ii) Customer SegmentsTriveni Turbine Limited find applications in a wide range of industries such as Sugar, Steel, Pulp & Paper, Textiles, Chemical, Palm Oil, Food Processing etc. The turbines are used in multiple applications like Co-generation, Combined Heat & Power Generation, Waste to Energy, Captive Power Generation and Independent Power Generation. (iii) Geographical Presence With over 2500 turbines installations in over 50 countries globally, the Company is fast spreading its global footprint to more countries and geographies. How to Participate in buyback? 1. Firstly, to be eligible for the buyback the investor should have shares of Triveni Turbine Limited Buyback Offer 2018 in demat or physical form as on the record date [ 28.12.2018] 2. Once you have shares in demat, you can participate in the buyback process which is opening from [14.01.2019 to 25.01.2019] by selling your shares through your broker on NSE or BSE. 3. Then on [05.02.2019], the payment will be given to you for accepted shares and unaccepted shares will be returned to your demat account. 2. 1300 Shares bought at Rs. 103 means an investment of 1,33,900. 5. Overall we can say a profit of 32588 on an investment of 1,39,000 in than 3 months. Anybody please help me.i have bought shares of triveni turbine ltd on 17th december,2018 & sold on 27th december, 2018 i.e. on ex- record date.am i eligible for buyback? Please help. Entitlement is 16.67% ie 25 out of 150. Reserved Category having close to 18% Entitlement. Good one not many Retailers latched up this Stock. Phenomenal volume and price increase shown by stock. It even reached the target of 125 provided by sharekhan. Maybe the time to sell it though I have only few shares but with this volume it will give very poor acceptance ratio. Any guess for the expected price? New buyers should stay away.as only 154000 shares for retailres.against current holding of 21 lakh+ holding at September quarter end. Any idea, if its Tender or market buyback? That’s why wondering, whether they would leave some thing on table.. Probably this is also the cause that share has not moved even 2% after buyback announcement. Any other in pipe line?? Excuse, 10% up Yesterday itself.. Promoter group is not trustworthy. Actually such a high difference between current price and Buyback price, always creates problem..
As per Annual Report, up to 31st March 2018, no. of shareholders holding from 0 to 2000 shares are close to 55 lakh and from March 2018 to Sept 2018 around 9 lakh shares are added. Therefore, we can assume that no. of shares for the retail category will be close to 65 lakh. So on that basis Acceptance Ratio would be 15%. Retail portion is 15%, means reserved for retail is 10 Lakhs. So retail entitlement ratio = 10 /65 = 15%. Please check. Not a good number to go for.. Corrected. It was a calculation mistake.